The profession of a prostitute is arguably the only career in which the maximum income is paid to the newest worker. It's the only one job in which at the onset, the only exertion is that of self-indulgence, all the prizes are at the beginning. Prostitutes experience business boom. Prostitution is a business that oftentimes thrives or flourishes without any form of complimentary card , hand bill, flier, banner or T.v advert. Despite economic recession, it still booms. Now, have you ever really considered that in spite of the public views that have never for once been welcoming towards prostitutes, they have successfully captured renowned individuals, the elites in the community. Though not written down somewhere like we do have it in high schools, these invisible laws been put to use by the so called prostitutes seem to make their business not only sustainable but also very lucrative not minding the kind of society, tribe , religion, race, generation and economic situation. Well, I can imagine one might see this as unhealthy, irritating and corrupt. But, frankly speaking, this is not in totality all about prostitution, it's about business, not minding the kind of business. There are a lot of healthy lessons we could pick from these sets of people. A lot of lessons are there to be learnt by business executives from the protistutes' approach to business. Although, some might say, " I'm not really into any business". But the fact is, everyone is in sales. Whatever area you work in, you do have clients and you sure do need to sell. 1) TARGETING: Your target determines your location. It determines your packaging, your presentation. A critical look at the protistutes' approach to business shows that they begin with target marketing. The prostitute's target is always defined. They don't just go for any man or any person. There's a clear cut picture of whom they want seated conveniently in their subconscious even before they set out. A prostitute can locate her target within a crowd in a matter of minutes. This, no doubt makes their business boom. 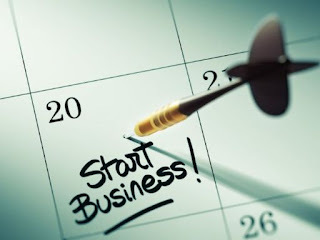 Without much ado; how do you as a businessman or woman set out every time as regards your business? Do you really have a target or you just go out for any kind of fish with no strategic aim in view? Or you're part of the 'anything goes' society. It's time to come out of that shell and learn the number one strategy from these sets of people. 2) TERRITORIAL CLAIM: Every business man must locate his territory and work on claiming it. It is one thing to locate the territory and another claiming or conquering it. The second observation is the way a prostitute claims her territory, ' her spot', 'her corner'. No government or council names a street or spot after prostitutes but when you get to notable towns and cities, you hear of the red light district. This is what is called territorial conquest. This territorial claim is very common among renowned companies all around the globe. That's why you see such companies paint houses, shops, stores etc. From the beginning of your business, set territorial conquest goals. That is, from the scratch( your immediate environment, where you are) to a bigger and wider location(s). Having a global vision rather than being a local champion pays. 3) PERFECT TIMING: The opportunity of a lifetime must be seized in the lifetime of the opportunity. Time, they say is everything. Time counts no matter how you feel about it. It's just the plain truth. Prostitutes sure know the perfect timing. They know the season for their business... In the twilight, in the evening, in the black dark night. Little wonder the saying- " there's a time and a season for everything". Each and every business has its own season of drastic loss and maximum gain. The man who sells rain coats, umbrellas and car wipers certainly knows when to maximize his energy( during rainy season) while the man that deals in ice cream and ice block definitely knows when to maximize his energy. Same thing applies to the prostitutes. The trick is that no matter the condition, they make enough in the night to last them during the day. Prostitutes can't afford to waste the night for the day is fast approaching when there is no or little work. Having said this, what you as a businessman need do is to map out your season of maximum impact or profit, prepare for it and maximize it. The keynote for every businessman is to " be seasoned for your next season or you will cease to be seasoned in your season and cease to be a seasoning in life. " 4) EFFECTIVE PACKAGING: A good look at this professional woman of easy virtue(prostitute) shows us that her packaging leaves you with the complete understanding of her product. All what she has in mind or desire to do serve as a pointer to one thing which is the same thing her packaging and product reflects. They never joke or take their packaging lightly. Forget not that " people see who you are before they hear from you and you have only one opportunity to make the first impression." Oftentimes, clients, merely looking at the vessel or container draw their conclusions before they even come across the content. As a businessman, do not package your product for where you are now but for where you're going. We do love to say that the difference between the locally made chips and plantain chips is the 'packaging'. Since we all know that, it's high time we applied this invisible law of the prostitutes' approach to business into ours. Package your product to make a difference. 5) CONFIDENT APPROACH: The prostitutes' approach to business doesn't take into account sheepish presentation. They learn the ability to perform with courage, especially when scared half to death. A coach told his students that it is better to say nonsense confidently than to speak sense passively. Let me provide you with an illustration: A man once wrote a book which he titled ' how to make a million dollars without stress'. It doesn't matter the kind of services you render or the product you sell, get confident first as the prostitutes do and then sales ensues. As we draw the curtain here, note that it isn't over in a football match till the final whistle is blown. The end point of it all must result into a done deal. Prostitutes' approach to business comes with a fair speech void of violence or coercion. It is the power of expertise, a subtle force. Consider the above mentioned laws for business boom and experience the height of accomplishments these professional women of easy virtue swim in.